Preorder Policy. … we will ship the oldest pre-orders first. Orders ship in the order that they are placed, i.e. oldest orders are shipped first. All pre- orders require full payment at the time the pre- order is placed. Please Take note: 8 to 12 weeks delivery time. "The perfect mid-sized binocular is one that gets as close as physically possible to delivering the same image quality and brightness as that of an equal quality full-sized version, but at the same time is also as near as possible in size and weight as a full compact instrument. The SNYPEX Knight D-ED 8x32 Dielectric Optical Binocular is a compact fog and waterproof binocular with an outstanding close focus of just 3.92 ft. It features Bak-4 prisms with precision crafted ED glass. Fully multi-coated optics and phase correction coatings enable a wide field of view. This binocular delivers true-to-life images with startling clarity, color accuracy, and excellent brightness in all environments. All SNYPEX Knight D-ED Binoculars are protected with a durable armored rubber housing to absorb shocks. 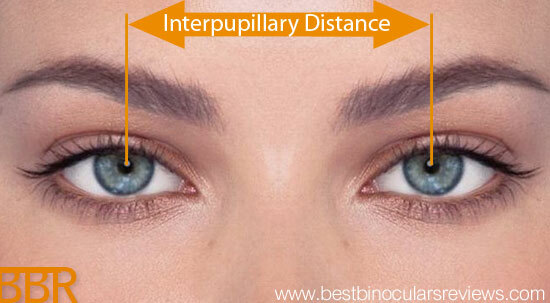 The distance between your eyes and in particular the centers of your pupils varies from person to person, in optics this is described as your Interpupillary Distance (IPD). The first and probably the most significant point to note is that whilst very similar, Snypex have changed the name slightly (from Knight ED) to Knight D-ED (more on that below) and so I guess technically these are a different product. Indeed you can still buy both versions and if I am not mistaken they are still producing the older "ED" and this newer ED-D version. Also new is the addition of a water repellent coatings to the exterior lens surfaces. This is another small but important upgrade and which also shows an increasing level to the small details from Snypex. Also made from Aluminium, the diopter ring used to calibrate the binoculars changes very slightly in that it is now a silver rather than black, which ties in very nicely with the focus wheel. To show just how much Snypex LLC believe in their products, they have now extended their 5 Years warranty to 25 Years on all their binoculars which can only be a good thing.. The neck straps now come with easy fasten quick-release clips. This is for me a great addition as this design enables you to quickly remove the main padded part from the instrument should you need to without having to re-thread the straps through the eyelets again which is quite time consuming and if you have done it as many times as I have, a real pain! What is more, once you have uncoupled and removed the main padded section, you can then reconnect the now much shorter parts of the strap that are still fixed to the binocular and create a hand strap which works really well. For me not only is this an extremely useful feature as I often don't care for the added clutter of a full neck strap, but once again to me, it shows some great attention to detail form Snypex. 4.25 x 4.64 x 1.57 in. Binoculars Knight 8x32 D-ED , Use Code : SNYPEX125 at check out and take Off $125.00 Dollars.